What is the best time of year to fly in Florida? 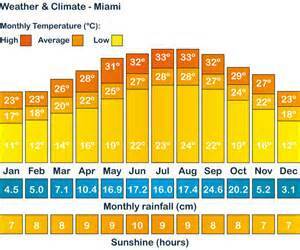 With 8 hours sunshine everyday on average all year round, when isn’t a good time to fly in Florida? It is not called the sunshine state for nothing. Peak flying season – Early March to mid July and early October to mid November. Good flying season – December, January and February. The weather can be slightly more changable with the odd front with low cloud base and reduced visibility. It is far warmer and more flyable than Europe in general however. While it freezes over Europe, it will be like a spring/summers day in Florida. This is peak ‘snow bird’ holiday season and usually very pleasant indeed! HOT flying season – August and September are VERY hot, to the point where it can be unpleasant for your average Brit for example. All the flying schools fly throughout this period with good success due to morning and evening flights being quite pleasant. The afternoon tropical storms are usually predictable from 1400-1600 local on average and can be avoided. The visibility and sun are still in abundance with high cloud bases for flying. So if you can stand the heat, this is a very flyable time of year. Hurricane season is associated with August and September, however we have been lucky to have not been seriously affected by these, at Vero Beach, for around 10 years.